(20491.18, Oklahoma Historical Society Photograph Collection, OHS). Owner and publisher of the Tulsa World, Eugene Lorton was a central figure in Oklahoma's commercial and political development from 1911 to 1949. Born on a farm near Middletown, Missouri, on May 28, 1869, young Lorton accompanied his family as they worked on farms in Texas, Kansas, and Missouri. He concentrated his career interests on journalism beginning in his early teens and moved on to become the editor of a small Idaho weekly at age twenty. Throughout the following two decades, he worked in other managerial positions with a number of other newspapers in the Pacific Northwest and assumed an active role in Republican Party politics. In 1911 Lorton returned to his native Southwest and purchased an interest in the Tulsa World. Within six years he had achieved complete ownership. From the very beginning of his journalistic endeavors in Tulsa, Lorton resumed his high-profile activities in Republican Party politics. He became known as a political maverick, as he also presented himself as a champion of organized labor, an inveterate supporter of campaign finance reform, and a tireless opponent of the local Ku Klux Klan. During these years he acquired the nickname "the Republican Bryan" from his more conservative opponents within the GOP leadership. In 1924 Lorton sought his party's nomination for U.S. senator, but he suffered a crushing primary defeat from the eventually victorious William B. Pine. Four years later Lorton actively supported Alfred E. Smith and subsequently made a transfer of his political allegiance to the Democratic Party in 1932. 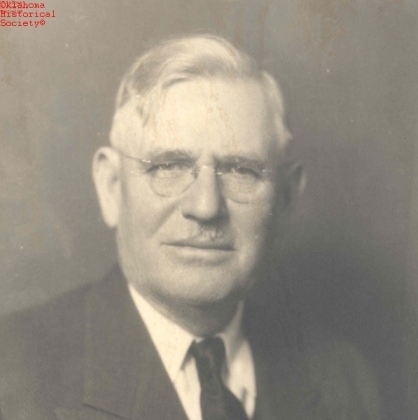 During these decades Eugene Lorton vigorously supported Tulsa's commercial development through his work on the Spavinaw Lake project, his presidency of the Tulsa Chamber of Commerce, and his constant attention to the advancement of Oklahoma's agricultural and ranching sector. On the political scene, his newspaper simultaneously gave active support to Democratic primary candidates who curiously represented both the extreme right (Thomas P. Gore) and extreme left (Gomer Smith) wings of their party. However, the paper's positions also drew bitter opposition from other state leaders. Ernest W. Marland remarked during his 1936 campaign that "Gene Lorton runs a propaganda sheet." By 1940 Lorton returned permanently to the GOP and remained an ardent Republican for the remainder of his life, but his paper continued to exert a powerful influence in Democratic primaries. On October 17, 1949, he died in a Tulsa hospital while receiving treatment for a heart ailment. A member of several fraternal organizations and the Episcopal Church, he was inducted into the Oklahoma Hall of Fame in 1940. Lorton left a permanent imprint on Oklahoma's development through vigorous support for Tulsa community improvement projects, ownership and management of the state's second-largest newspaper, and constant attention to his own highly successful Rogers County ranch. Moreover, his often contradictory and steadily changing political sentiments serve as a mirror of the highly complex blend of conservatism, populism, isolationism, and occasional economic radicalism that characterized Oklahoma's early development. R. O. Joe Cassity, Jr.
Charles F. Barrett, Oklahoma After Fifty Years: A History of the State and Its People: 1889–1939, Vol. 3 (Oklahoma City: Historical Record Association, 1941). "Eugene Lorton," Vertical File, Research Division, Oklahoma Historical Society, Oklahoma City. Joseph B. Thoburn and Muriel H. Wright, Oklahoma: A History of the State and Its People, Vol. 3 (New York: Lewis Historical Publishing Co., 1929). Tulsa (Oklahoma) World, 18 October 1949. R. O. Joe Cassity, Jr., "Lorton, Eugene," The Encyclopedia of Oklahoma History and Culture, https://www.okhistory.org/publications/enc/entry.php?entry=LO014.